Many mums who are housewives are not appreciated for the multiple tasks they do at home. Being a full time mum is sometimes harder than working outside but I chose to be a full time mum after I had my second child so I can spend more time with my children. Time flies and I do not want to regret not spending enough time with them especially during their growing up years. 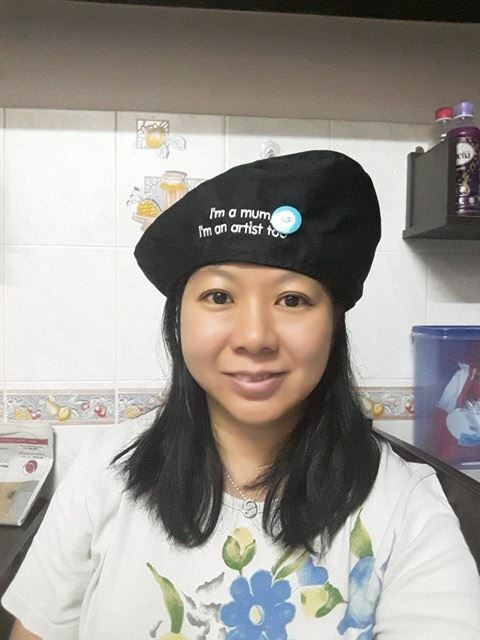 How many hats does a mum wear? Dutch Lady Supports Malaysian Mums Who Play Multiple Roles In Motherhood. As children grow, their needs change and mothers have to learn to adapt to various roles and improvise according to their little ones’ new milestones. A study revealed that the average mum is a master multi-tasker who carries out the roles of 23 different professions, ranging from a cleaner, entertainer, chef, accountant and teacher to a chamber maid. She also needs to have the skills of a first-aider, chauffeur and hairdresser. 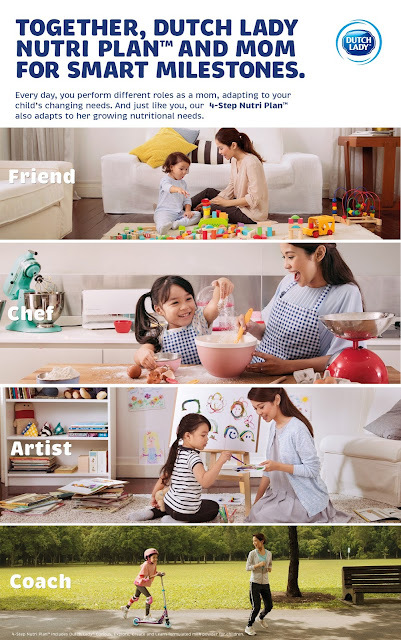 Understanding motherhood is a continuous learning journey, leading formulated milk powder for children brand, Dutch Lady Nutri Plan™ with 5X DHA recognises Malaysian mothers’ need for support as she learns to adapt to new roles daily. “From our various consumer studies, society expects a mum to know everything about her child as soon as she becomes a mother. Well, she usually doesn’t. Dutch Lady understands the importance of nutrition and mum’s various roles to ensure the progressive development of a child. 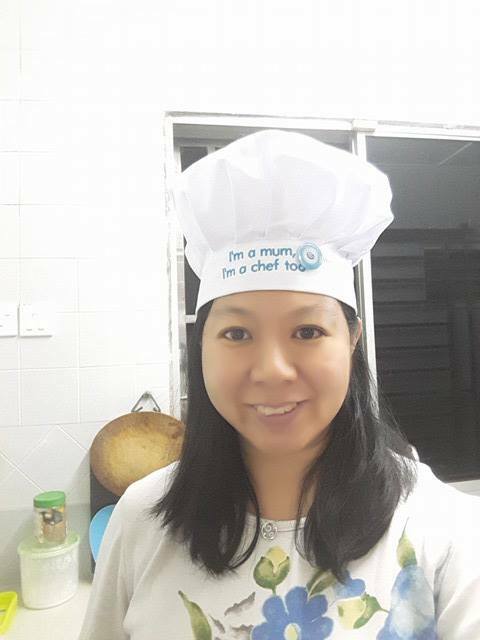 Mum needs a motherhood partner to support her child’s changing nutritional needs and the various roles she play to raise a smart and healthy child,” said Ashlee Ng, Marketing Director of Dutch Lady Malaysia. Ashlee shared her views at the Mak Kata, Saya Anak Bijak contest winners’ tea party, where winning mums met Dutch Lady Nutri Plan™ brand ambassadors, Scha Alyahya and her daughter Lara Alana over high tea. These mums submitted outstanding pearls of wisdom they use to guide their little ones to emerge as winners. 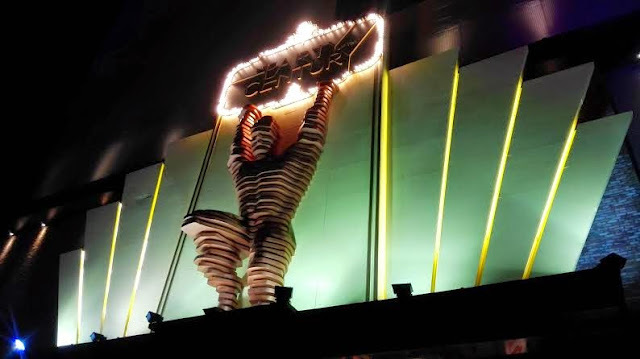 The Mak Kata, Saya Anak Bijak campaign underlines how a mother’s role and her guiding styles evolve with her kids. 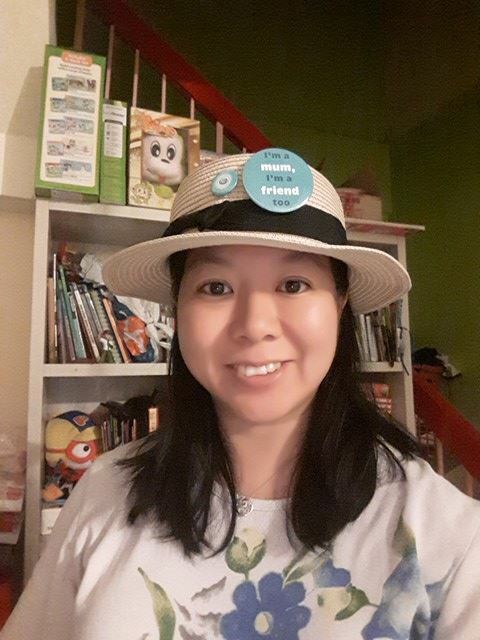 A mother wears many hats to support her child’s nutritional and social needs. She is a chef when the child is hungry, a friend when he is sad, a nurse when he wounds himself falling down, and so on,” continued Ashlee. 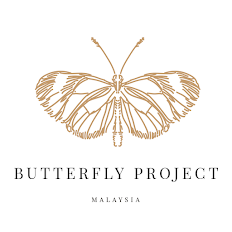 “We see ourselves as the ideal partner for Malaysian mums. Like how they adapt to their children’s changing needs, Dutch Lady 4-Step Nutri Plan™ with 5X DHA* is formulated to continuously support a child’s changing nutritional needs, from one smart milestone to another,” she added. 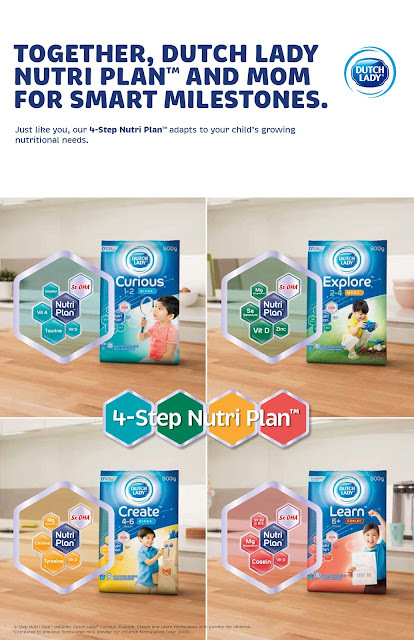 As an expert in children’s nutrition, Dutch Lady formulated the 4-Step Nutri Plan™ to address Malaysian children’s nutritional gaps as highlighted in the South East Asian Nutrition Surveys (SEANUTS). The programme not only provides tailored nutrition but also packed with 5X DHA to support a child’s progressive and brain development at every smart milestone. For Scha Alyahya, Dutch Lady’s more than 50 years of expertise in building strong families and children drives her to choose the brand for Lara. “As a mother, nothing is more important to me than my child’s wellbeing. I am especially fussy about Lara’s nutritional intake, and I try to keep up with what key nutrients she needs. With Dutch Lady as my partner, I feel much more at ease. Dutch Lady not only provides the tailored nutrition Lara needs at every milestone, its 4-Step Nutri Plan™ for children from 1 to 6+ years old allows me more time and energy to focus on her other developmental needs, rather than worrying about her nutritional intake” said the actress and mum. Lara turned two recently, and has become a little explorer. Scha enjoys watching her child discovering and learning something new every day, but she also knows that her role is shifting. “To evoke her curiosity, I used to point to things around Lara and highlight their names to her like a cikgu. But now, as she actively explores her surrounding, I have to start providing ideas on how Lara can learn even more about the world. That’s when I switch cap to be her buddy explorer! We discover new plants and flowers in our yard, sometimes bugs too! Other times, I am her coach, teaching her how to kick a ball or play a game,” said Scha, smiling. During the tea party with the winners of Mak Kata, Saya Anak Bijak contest, Scha and the mothers swapped parenting tips and funny stories when performing different roles while taking care of their children. 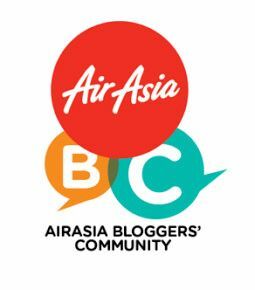 One of the winners, Norafida Baharuddin, is enthusiastic to try out some of Scha’s tips. “I totally agree with her about the roles we need to learn to adapt to support our children’s changing needs. Sometimes, I too, find it hard to determine at what stage my child is in because every child grows differently and hit milestones at different pace! So I have to figure out what activities to do with him to stimulate his curiosity or interest to explore. “That is why I’m also a fan of Dutch Lady Nutri Plan™. It helps me figure out my child’s developmental milestones, and it also provides the necessary nutrition to support his healthy growth,” said Norafida. 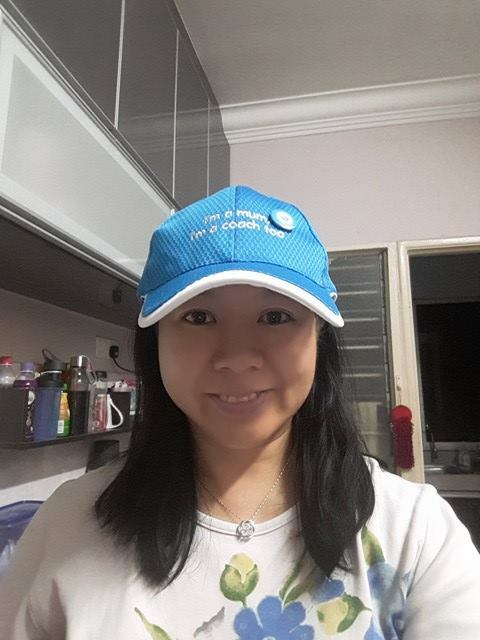 She also expressed her surprise and appreciation to Dutch Lady for being selected as a contest winner to meet Scha and Lara over a fun tea party. “My winning quote was what I always advise my kids -- to dream high that you touch the sky. It’s a form of encouragement to them to aim for the best in whatever they do and work hard to achieve what they have set for themselves. I am more than happy to do my best and play different roles to help my kids achieve their dreams and goals. So it helps that their nutritional needs are taken care of by my motherhood partner, Dutch Lady, and I can support them in other areas,” shared Norafida. Amidst the chatter and laughter, the winner families also excitedly unboxed the instax camera they got as prizes to take snapshots of the joyful camaraderie. Many of them seized this opportunity to pose with celebrity Scha and Lara with their new cameras. Stay on top of the ever-changing motherhood journey with Dutch Lady by your side! For more information on how Dutch Lady 4-Step Nutri Plan™ with 5X DHA* supports a child’s smart milestones, log on to www.smartmoments.com.my. I believe the hardest job is being a full time mom. Sad to know their effort is often not appreciated. Everyone should appreciate mothers hardwork taking care of their children. It's not an easy job. Moms are really fantastic people who play so many roles, silently, strongly. We should appreciate every day that we get to spend with them.